I posted a few days ago about a dessert pumpkin pie with a barley crust. But with more than twenty little pumpkins stored under the stairs that need to be used before spring is over, dessert pies wouldn’t be very healthy, with no one but me to eat them. 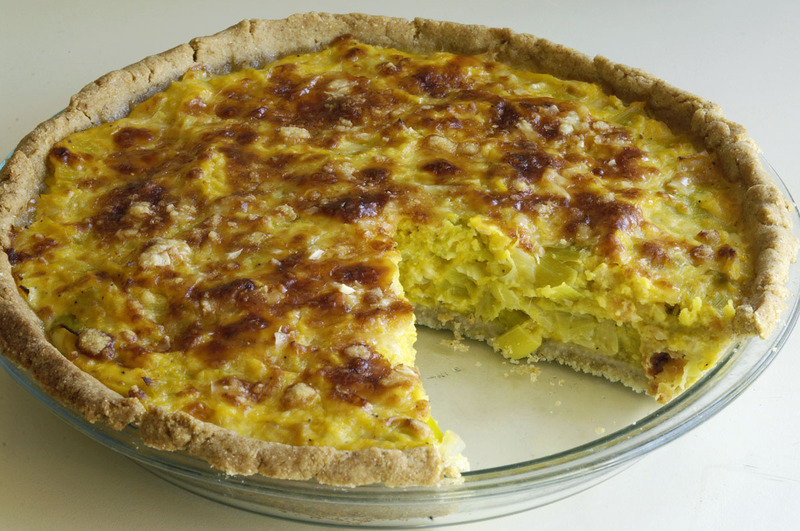 So here is a quiche-like vegetable pie, with a reasonably low level of carbs as well as fat. In my previous experiment with barley crust, I used the amount of oil that I would normally use for a wheat crust. That was entirely too much oil for the barley. The crust was too crumbly. This time I reduced the amount of oil by half (to a quarter of a cup for two cups of flour) and made up for it with water. That worked great. My little pumpkins look so magical that I have a hard time taking a knife to them and eating them. I have to remind myself that that’s why I grew them, and that, left under the stairs, they’d only rot. I do take a portrait each time I use one. 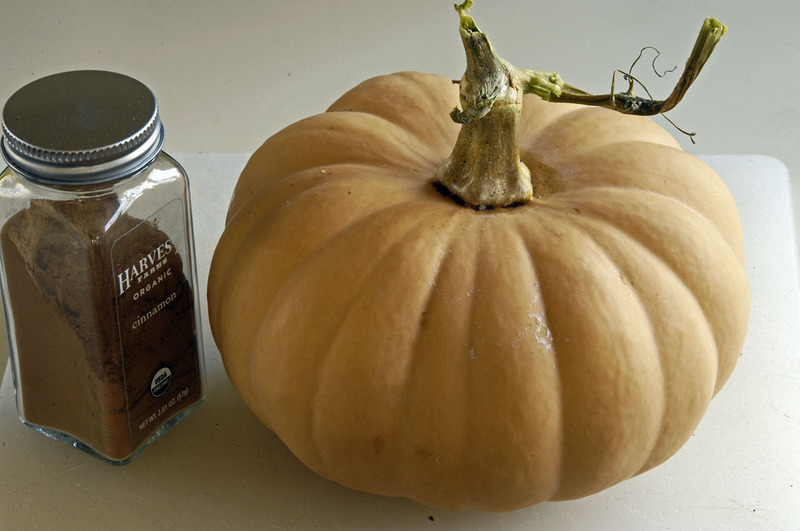 Though these are true pumpkins, they’re also like winter squash. So if you don’t have baskets of little pumpkins under your stairs, you could use winter squash for a tarte like this. I used two large stalks of leeks, lightly sautéed in olive oil. The other ingredients are two eggs, some grated Gruyère, and seasonings including a quarter teaspoon of nutmug. The top of the tarte is sprinkled with grated Gruyère and some parmesan. The dough for barley crust is stickier and more fragile than a wheat crust. I roll pie crusts between sheets of waxed paper. To keep the barley crust from sticking to the paper, I oiled the paper lightly with olive oil. The tarte was delicious. Many kinds of vegetables can be turned into a tarte. A turnip tarte? Why not. Next time, I’d like to impart a little roasted flavor into the tarte, maybe with some browned onions or shallots. Also, I’ll oil the pie plate next time, to give the bottom crust a bit more crustiness. 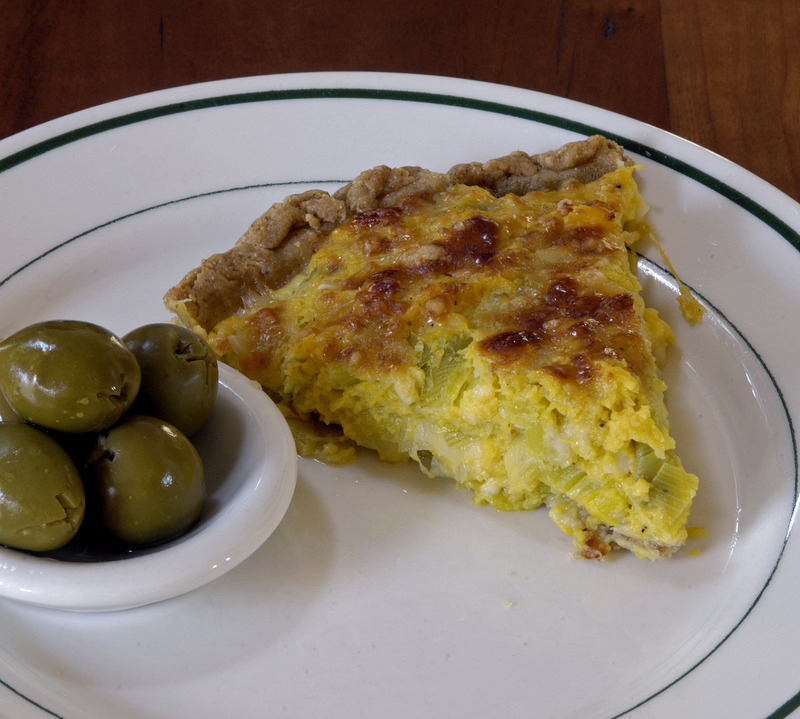 Though this tarte looks like a quiche, there is no milk or cream in it. Just two eggs and some grated cheese with vegetables. The crust is organic hulled barley, which I grind into flour myself. The top of the pumpkin browns because I used the small oven. 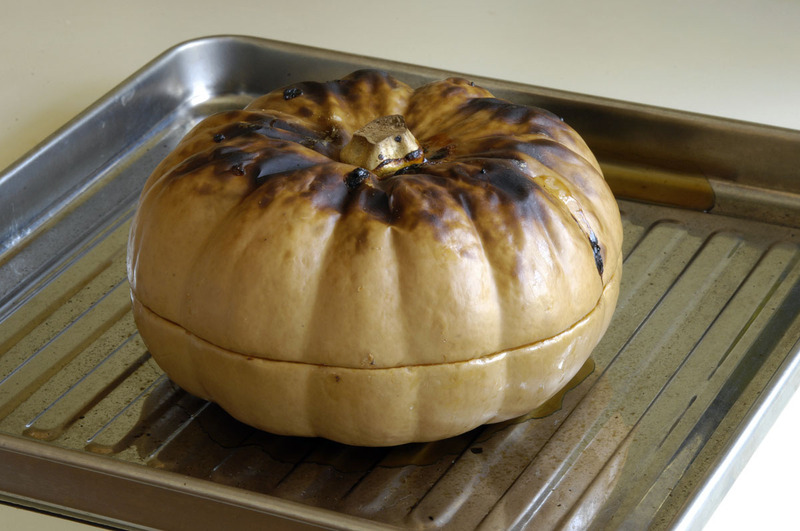 But the texture of the pumpkin inside is more steamed than baked. This was written by daltoni. Posted on Wednesday, January 30, 2019, at 4:32 pm. Filed under Food. Bookmark the permalink. Follow comments here with the RSS feed. Trackbacks are closed, but you can post a comment. You sure are preparing yummy food these days.